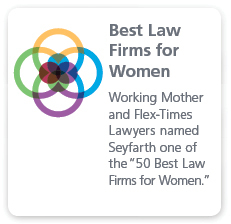 Seyfarth Shaw’s commercial litigators recognize contracts often serve as the fundamental basis for business relationships. Contract disputes arise in nearly every industry, including manufacturing, construction, insurance, real estate, government procurement, partnerships, joint ventures, personal services, franchises, distributorships and information technology. We also know that contract disputes—regardless of the industry—interfere with business goals and relationships. 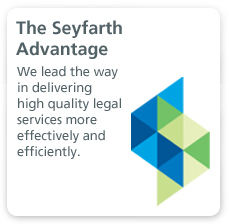 When contract disputes arise, Seyfarth’s trial lawyers aggressively protect our clients’ interests every step of the way. We carefully examine our clients’ litigation and business goals prior to determining our best case strategy. Whether we decide to file an emergency lawsuit or engage in alternative dispute resolution, our team of accomplish litigators never loses sight of the clients’ needs. 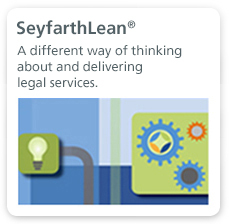 Our clients praise our ability to achieve results through our skilled application of contract law and innovative solutions to complex problems.